Green Bay Packers fans are riding the crest of success, with the team following up a quite astonishing record 13 th World Series victory with a dominant NFL-topping run thus far. The famous Packers franchise is America’s only community-owned professional football team, & it plays in the North Division of NFL’s NFC. Based in Green Bay, Wisconsin, the Packers are turning on the style with a convincing thrashing of the Detroit Lions on Thanksgiving, & challengers are falling by the wayside. Green Bay is located at the head of the eponymous sub-basin at the mouth of Fox River in northeast Wisconsin. The modestly populated (104,000) county seat of Brown County has been nicknamed "Titletown" because of the plethora of sporting accolades. Earl "Curly" Lambeau & George Calhoun formed the Packers (named after Lambeau’s employer packaging firm as a condition in return for its investment) in 1919, joining the league in 1921. The Green Bay Packers are current residents of Lambeau Field, where they moved from City Stadium in 1957. Packers’ stay at the 73,158 capacity field is the longest active tenure in professional football, & highlights like the 1962 Ice Bowl (played against the Dallas Cowboys at -26 0 C) have mixed with famous traditions like the Lambeau Leap to give it a proud historic identity. Chicago Bears are the focus of a searing rivalry with the Packers, which is NFL’s oldest grudge match. Green Bay Packers are owned by 112,158 stockholders, making it the only community-owned franchise in the NFL, & American professional sports. It is run as a non-profit organization, with key decisions all taken by a seven-member Executive Committee chosen from a 45-member board of directors. Mark Murphy is the current President and CEO of Green Bay Packers Inc. He enjoyed a distinguished career as a 1983 Super Bowl winner with Washington Redskins. Ted Thompson is the GM, having been linked with the Packers in the 90s in a directorial capacity. Mike McCarthy is the head coach since 2007, completing the selection panel. The city’s University of Wisconsin campus and other educational institutes have wheeled in fantastic players for the Packers. Packers boast 21 Pro Football Hall of Famers , including Cal Hubbard, Mike Michalske, Brett Favre and Vince Lombardi . Green Bay Packers lead the table with 13 League Championships. League standing decided the first three (1929-1931), before the next six were won by the NFL Title Game (1936, 1939, 1944, 1961, 1962, & 1965). Of these nine titles prior to the Super Bowl era, the first six were under Curly Lambeau’s stewardship, a record. Packers further won four Super Bowls (1966, 1967, 1996, & 2010) with the turnaround started by the indomitable Lombardi, & capped off by McCarthy’s current superlative colts. Although the local TV audience is the smallest, Green Bay Packers have the largest fan base in America, and the season ticket waiting list itself outstrips Lambeau Field’s available seats. Green Bay Packers tickets are hot property following their surging run to the cusp of the Division title. Q:What can i get with green bay packers tickets promotion code? A:You can get instant discount on your green bay packers Tickets with the promotion code. Q:I heard you sell cheap packers tickets. Is it true? A:It is very true. 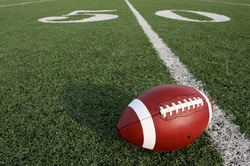 we do sell cheap green bay packers Tickets and we also give out discounts on our tickets. Q:Where can i get the seat numbers for green bay packers tickets? A:You cannot get the seat numbers for green bay packers Tickets as that information is not allowed us to have by the ticket brokers. Q:How soon can my green bay tickets be delivered to me? A:Your Green Bay Packers Tickets will be delivered to you in the time specified.